I have emailed the store to see if they are all OK.
Oh good, thank you. That will set our minds at rest! I suspect that if one or two are down there, they are getting fed. 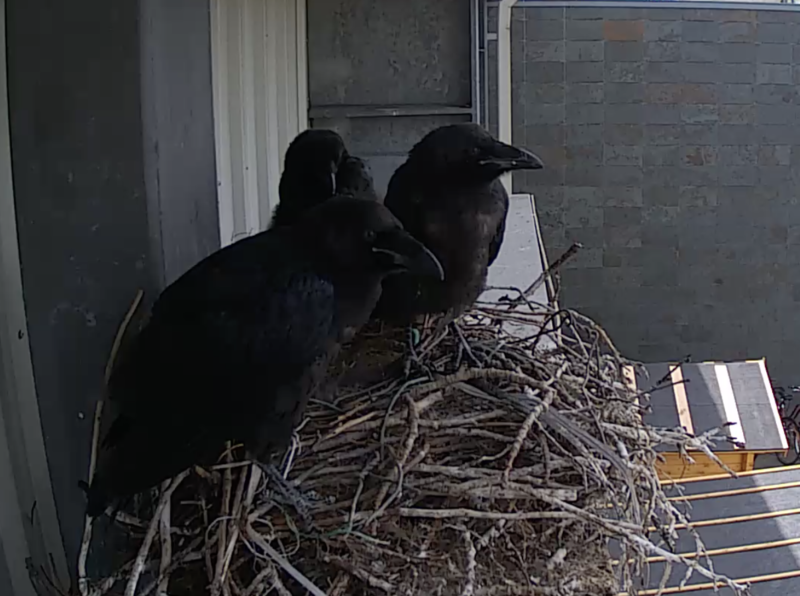 Hi Jonathan, I agree---I think for sure the parents are making sure the brood is taken care of if they are grounded! I just wonder if any are down there, and if so how many! And if they are on top of a structure rather than the ground. The lovely people at Byko tell me that there is one chick on the beam below, being fed by the parents. So two chicks must have properly fledged now. They sent me a photo, I will try to post it when I get home. Oh they are so nice! Now I see "the beam below" in the previous photo. That accounts for why the other two were peering down there sometimes. Huhn! I just checked to see three on the nest now! Wonder how that happened! They are so restless, pulling at twigs and hopping about, yelling. 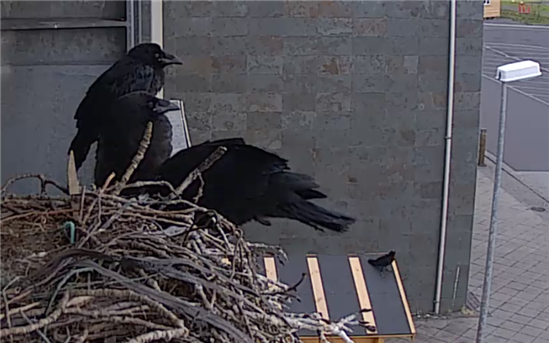 One of the three is flying-hopping along the beam and over the nest. S Someone just came nearby to the area to the right on the shed, then further afar to the grass in the background and then hopped onto the white fence structure. Dunno if it is a sibling or parent.